Many military members are unaware of the qualifications that must be met to get VA benefits. Family members must stay informed of the important benefits that can help them in times of stress, but there may be issues that inhibit you from obtaining any or all benefits. It's important to learn what can cause you to lose veteran benefits as well as what can help you obtain them. Veteran Affairs (VA) and the Department of Defense provide a plethora of benefits to support and help those who qualify. An active duty member with an honorable or general discharge, and one who has served a complete tour of duty, is eligible for all VA benefits. Veterans who are on parole or in prison have to contact Veteran Affairs to establish eligibility. Benefits are not available to any veteran or dependent with an unresolved felony warranty. A spouse who is married to a qualified veteran can receive health, burial, survivor and career benefits. If the veteran dies, the spouse can use the home loan guaranty if the spouse is not remarried or remarried at the age of 57 or older at the time of obtaining the loan. A divorced spouse who was married to a qualified active duty member for 20 years during 20 years of the member's service is permitted to use the commissary, exchange and health care after divorce. The former spouse must fill out the necessary paperwork with the finance office within a year of finalizing the divorce. 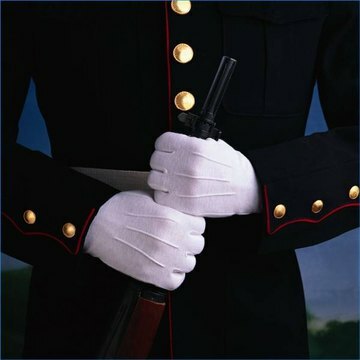 Reservist must have served as active duty with a discharge of honorable or general to qualify for any veteran benefits. Training and schooling is not considered full active duty service; serving in war qualifies as active duty. National guard members must have been activated for federal service during time of war to be eligible for benefits. Dependents who are legally related to the veteran are eligible for health care, survivor education assistance and burial benefits, regardless if the dependents' parents are divorced or not married. Allied military members serving in World War I or World War II can receive VA health care. The allied members' government must authorize and reimburse VA for the care. Wilkison, Lashunda. "Who is Eligible for Veteran Benefits?" , https://legalbeagle.com/4870352-who-eligible-veteran-benefits.html. Accessed 18 April 2019.